Traditionally in India, health insurance has been mostly offered by the general insurance companies or by the specialized health insurance companies. 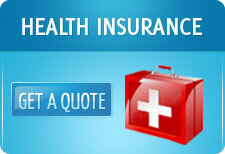 Of late however, we have seen that the life insurance companies have become very active in offering health insurance. Earlier, at best they would have a critical illness rider on their health insurance policies or a daily hospitalization allowance rider. But in the last year or so, this has undergone a significant change. Today, we see companies such as AEGON Religare Life Insurance, Aviva Life, ICICI Prudential etc aggressively promote their health insurance plans. IRDA, under pressure from SEBI, to reduce charges on Unit Linked life insurance products, has rung in some sweeping changes on the structure and charges of these products. Somewhere along the line, life insurance companies started reducing the weightage on the protection component of the ULIPs and started concentrating heavily on the investment component. ULIPs in its core construct started being like mutual fund product, albeit with high charge structure and longer lockins. In the recent changes mentioned by IRDA, ULIPs necessarily need to have a protection level ( i.e. sum insured) of at least 10 times the annual premium if the insured is below 45 years of age, and 7 times the annual premium if the person is above 45 years of age. The other key changes relate to a 5 year lock in, level premium, minimum premium paying term of 5 years, surrender charges being capped, no surrender charges after five policy years, total charges being capped and evenly distributed across the policy years and pensions having a minimum assured return of 4.5%. Given these changes, there will be a basic degree of commodisation in ULIPs. This will result in life insurance companies paying far more attention to health insurance and term insurance as an area where they can generate incremental sales. Hitherto, these two products were a bit ignored by IRDA. IRDA has come out with some interesting recommendations regarding the health insurance plans that Life insurance companies can offer. If the age at entry is less than 45, then the minimum annual health cover has to be 5 times the annualized premiums or Rs 100,000 whichever is higher. If the age at entry is more than 45 years, then the health cover has to be a minimum of Rs 75,000 or 5 times the annualized premium, whichever is higher. At no time during the policy can the annual health cover be less than 105% of the total premiums paid. We heartily welcome this trend of life insurance companies concentrating on health insurance policies. It is very clear that the width and depth of distribution of life insurance companies is far higher than that of the general insurance companies. It is estimated that there are 3.5 million life insurance agents in this country. If the agency channel of life insurance companies gets excited about this product, health insurance penetration can only increase. Currently the health insurance market is estimated to be at Rs 8100 crores and expected to grow to Rs 35,000 crores in the next few years. It can do with all the help that it can receive from the life insurance companies.